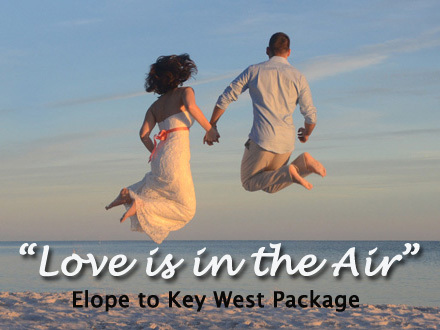 Eloping to Key West is very easy. This package is a “mini” version of our full beach wedding package. It is a perfect choice for “weddings for two”. Weddings performed at Smather’s beach. For an additional charge, flowers can be added to this package. Contact us for more details. Based on availability.